McClain graduate Marcus Coleman recently took over the duties of ISR (in-school restriction) monitor at the high school. Coleman was a former middle school aid at Greenfield Middle School who worked within special services. 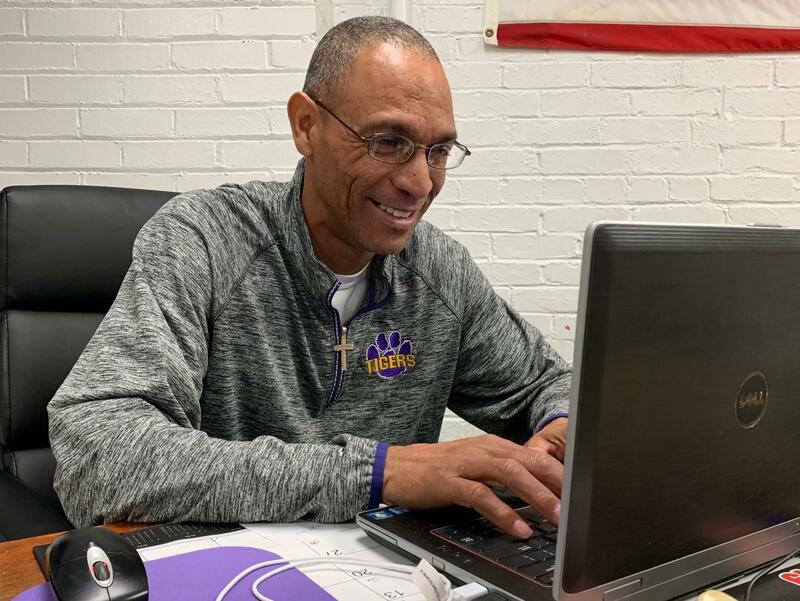 Coleman, also a basketball coach for the Tigers, is excited about his new opportunity and that he has a home base, so to speak, in the ISR room. “(It’s) a full-time position and I get to better myself,” he said. Coleman’s day starts out with Edgenuity students, checking in broken Chromebooks, checking absent lists, making phone calls and watching the ISR students. He said he loves his experience so far at McClain and everything has been very positive.